These cuffs are brightly stitched using free motion embroidery and carefully selected hand dyed chords and fabrics. They will add a burst of colour to your day. 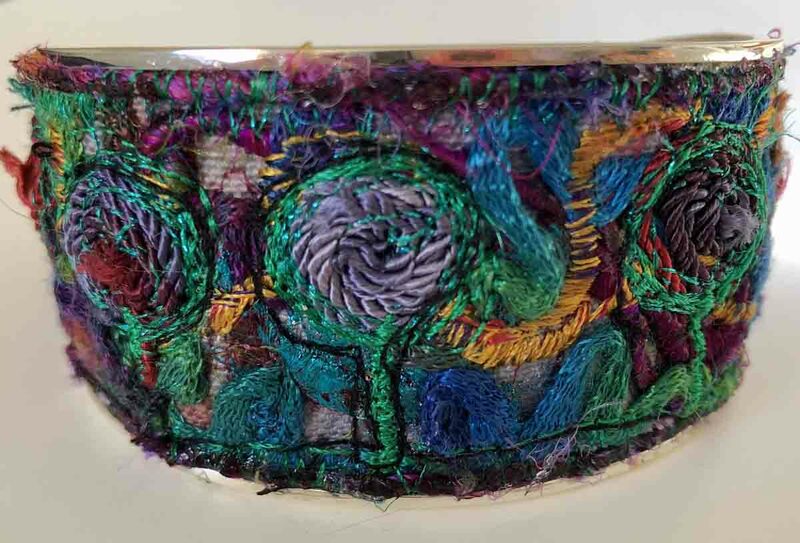 The stitched art work is attached to a sterling silver dipped cuff. 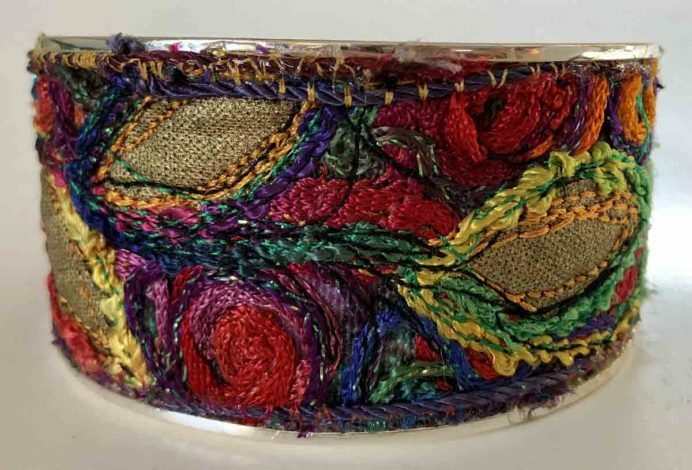 The cuff comes in one size only but can be carefully bent to fit larger or smaller wrists. 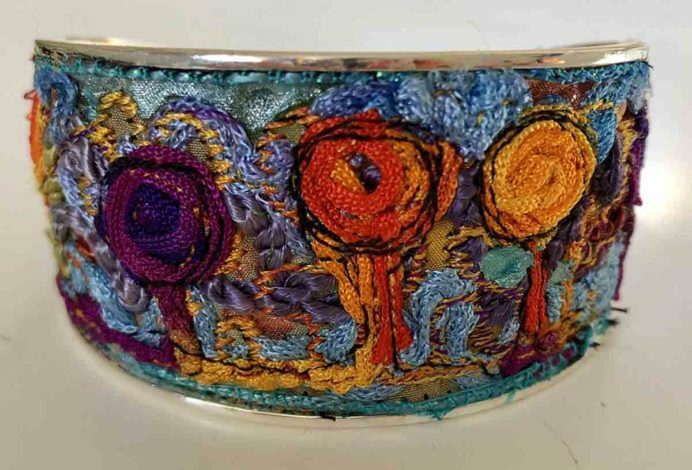 The cuff size is approx 4cm at the widest section and 15cm in length.